What facilities are available for very young children? Will I have to queue to get into SEA LIFE Charlotte-Concord Aquarium? If I visit for last admission, how long will I have in the attraction? How long can I normally expect a visit to last? 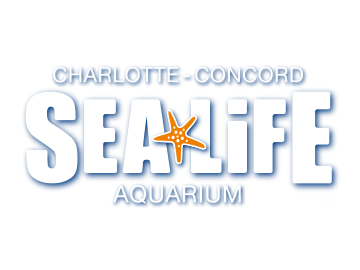 Can I take any animals or pets to SEA LIFE Charlotte-Concord Aquarium? Can I take a stroller or buggy around SEA LIFE Charlotte-Concord Aquarium? Are we able to leave and re-enter the attraction? The line for the Aquarium during off peak season should take approximately 5 minutes. However, please note that lines can take up to 15 minutes or longer during peak season. To avoid long queue times please print vouchers off before arriving. Can I take food or drink into SEA LIFE Charlotte-Concord Aquarium?